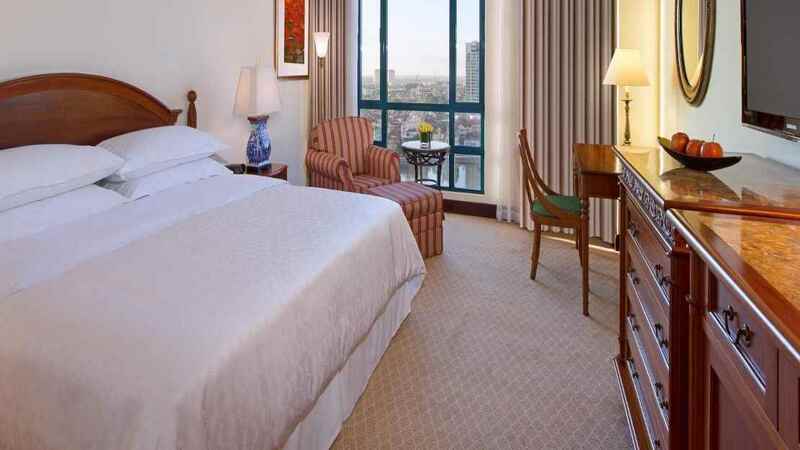 A haven of peace and tranquillity less than ten minutes away from downtown Hanoi, the 5-star Sheraton Hanoi Hotel is an ideal choice for a captivating Vietnam holiday. 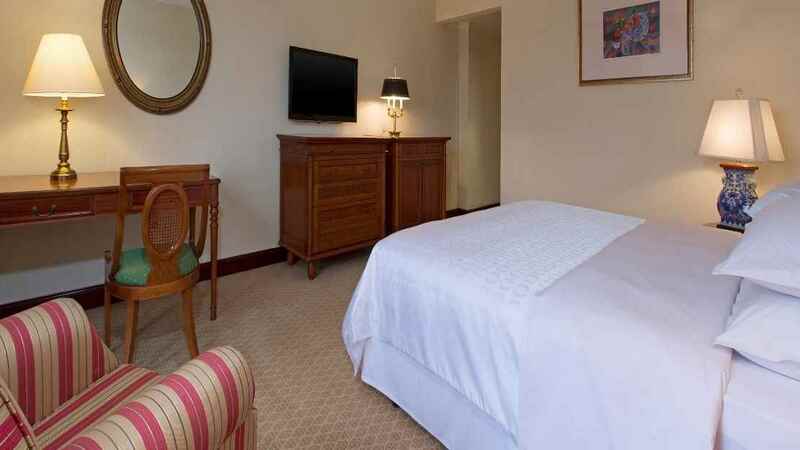 Here you will find a choice of luxurious rooms and suites all specifically designed to provide guests with that perfect stay. 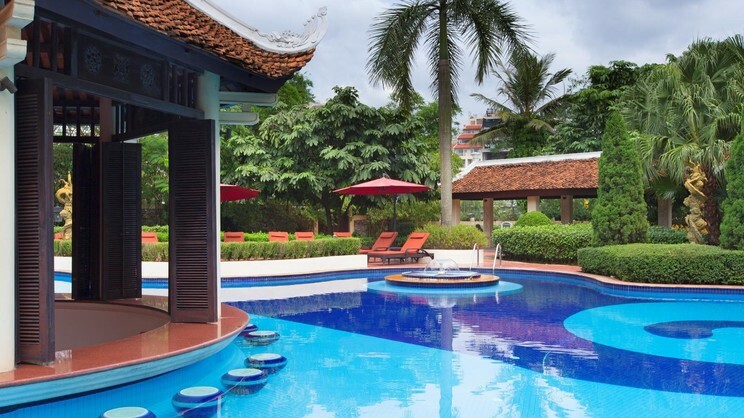 With an incredible lakeside setting, outdoor swimming pool and relaxing spa facilities, you can enjoy a leisurely start to the day before venturing out to experience the buzz and excitement of Hanoi. 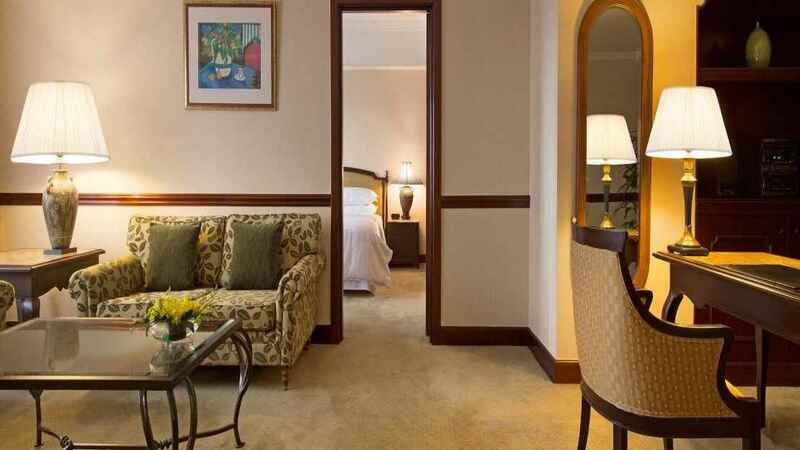 With authentic Vietnamese food on offer in the hotel’s four restaurants and colour, culture and attractions aplenty all around, where better to enjoy the very best of Vietnam than at Sheraton Hanoi Hotel. 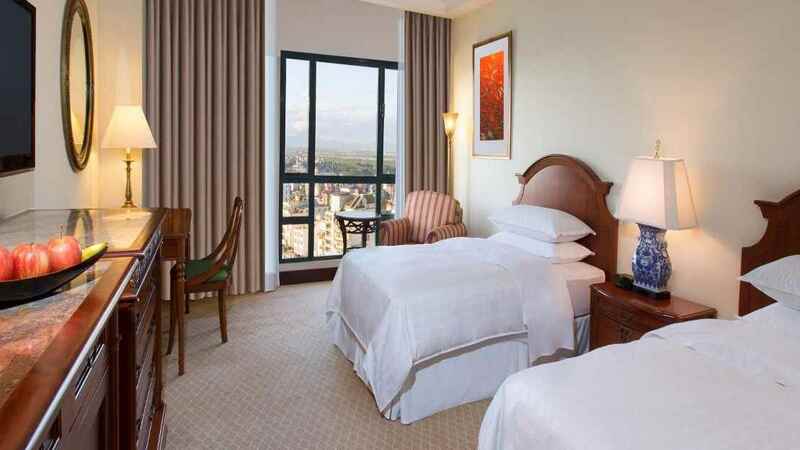 A host of shops, bars, cafes and restaurants can be found close to the Sheraton Hanoi Hotel. 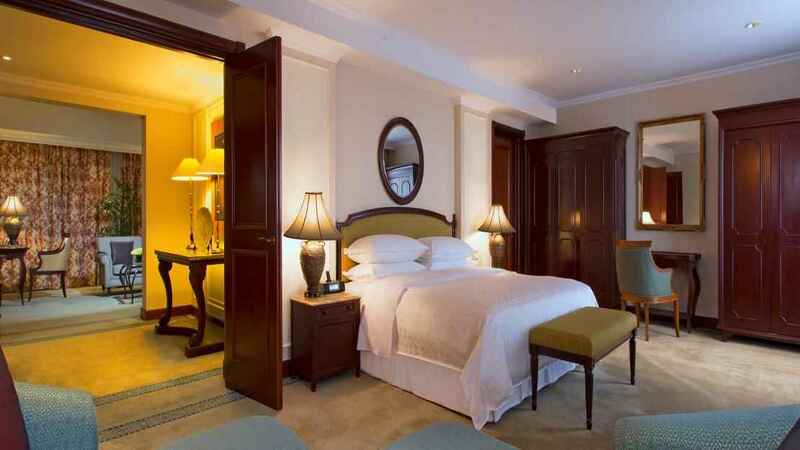 Noi Bai International Airport is 23 kilometres away from the Sheraton Hanoi Hotel.